We’re starting off the new week with a terrific roundup of the best paid iPhone and iPad apps on sale for free. We’ve got eight different apps and games for you to check out on Monday, but they’re all free for just a short time so be sure to hurry and download anything that looks appealing. Manage your privacy information, including Contacts, Websites, Photos, Audio, Videos and other documents. Support for creating multiple accounts and passwords. Use different passwords to get different user data. No one can access your personal files without the password. AppHop is a handy tool for developers, marketers, publishers, bloggers or any one who is into app related stuff. • Bookmark iOS/Mac Apps for future reference. • Check top charts of iPhone, iPad, Mac AppStore across different countries easily. 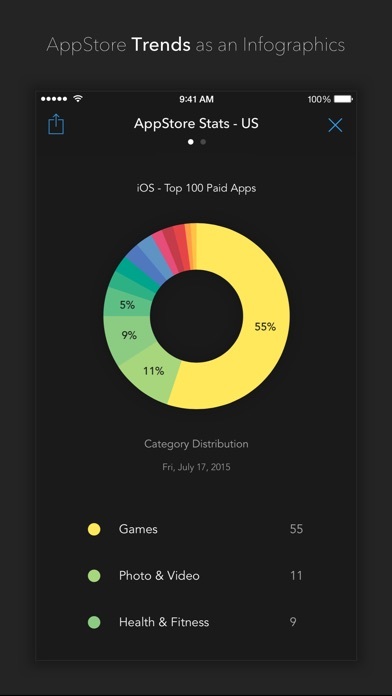 • Check current AppStore trends as a beautiful Infographics. • Track apps (iOS/Mac) ranks and reviews, across multiple stores quickly. • Translation – get app reviews in your native language. • Grab the iTunes link from clipboard and bookmark it using the Today Widget. • Ability to convert an iTunes link into an affiliate link with campaign ID. • Check iPad or Mac app infos on your iPhone. • Get local notifications for rank changes. • Quickly filter app reviews. • Search reviewer in twitter. • Supports iOS, iPad and Mac apps. NO NEED to register or sign up, Just search for the app and bookmark it. 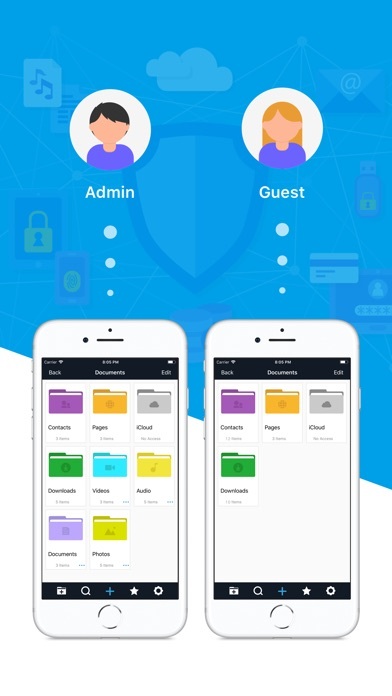 AppHop fetches data directly from Apple, via their official APIs to your iPhone, iPod touch or iPad. No data is passed through our server. We value and respect your privacy. And also Apphop is not a part of or otherwise affiliated with Apple or iTunes or PHG. Bluelane allows you to easily share your location and route with anyone. They can track you in realtime using a web browser, on any device. No additional software to install, no sign-ups and no new social network to manage. Track your first half-marathon and share your progress with your friends. Let your family track you when you’re on vacation. Running late? Just share and let them watch you arrive. The possibilities are endless. • Track your location and route using GPS. • Share using Messages, Mail, Twitter, Facebook and other messengers and social media. • Others can track you using a web browser on a PC, Mac, iPhone, iPad, iPod touch and other smartphones and tablets. • View a history of your routes, including total viewers, time and distance traveled. • Four different tracking modes to balance between tracking accuracy and power usage. 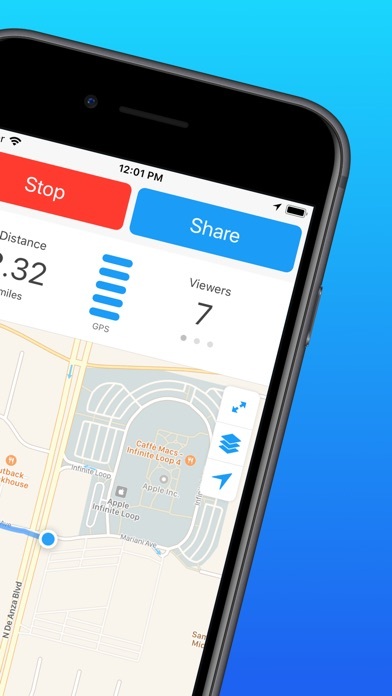 • Add previously tracked routes as map overlays to easily retrace your steps. • Open GPX files in Safari, Mail or other apps to add them as map overlays to follow. • Export your routes to GPX. Mail them or send them to Cloud drives. • Track your route even when offline. 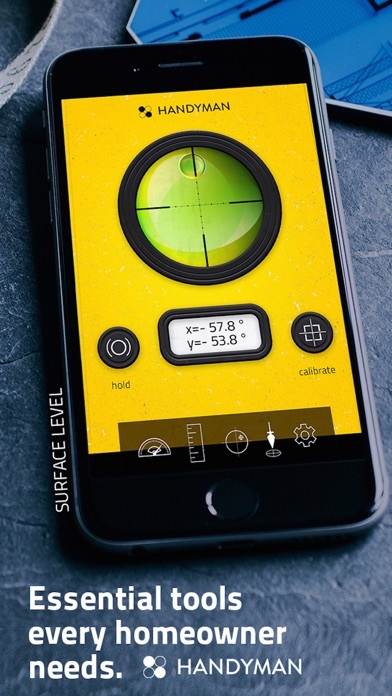 Measuring Tape AR is an innovative utility app that uses augmented reality (AR) to redefine the way of measuring things. Measuring Tape AR is the fastest, smartest way to measure physical object’s dimensions or any distances! 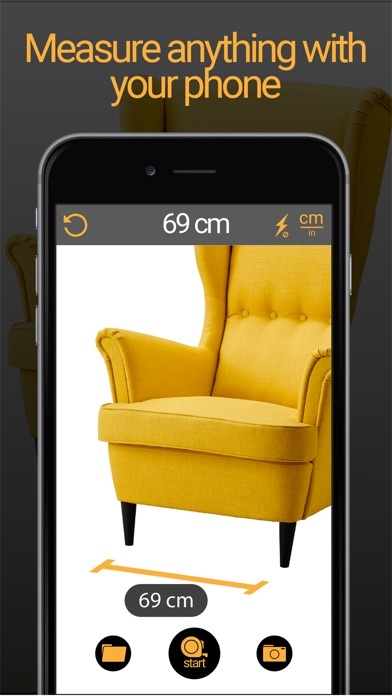 The app is a perfect solution for interior designers, architects, contractors, real estate agents and anyone that needs quick measurements. Measuring Tape AR uses the new iOS11 ARKit framework, therefore will work only on ARKit compatible devices. Homeowners should be always prepared for minor adjustments and home repairs. What better way to be prepared than to have the 5 essential tools in your iPhone? Handyman Tools 5 in 1 is your digital toolkit with equipment to hang framed pictures, install some shelves etc. 4. Protractor – handy when measuring angles from 0 to 180 degrees. 5. Ruler – reference scale supporting both inches and centimetres. Handle nearly any adjustment or repair job in you house with Handyman Tools! Pixel+ Camera turns your phone into features packed SLR camera but with the ease of point and shoot camera. Pixel+ Camera allows you to shoot in different modes such as landscape mode, macro mode, sports mode, night scene, sunset scene, or other modes according to the scene conditions; moreover you can beautify your photos with its built-in 30 live filters. Professional users that prefer manual camera would be happy that Pixel+ Camera offer manual controls to adjust shutter speed, ISO, white balance, and lens focus (manual focus) independently. 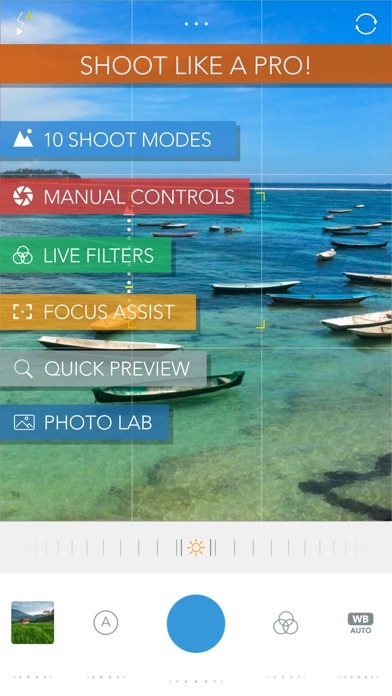 • Automatic: Auto exposure mode sets shutter speed and ISO automatically. • Manual: Manual exposure mode allows you to adjust shutter speed and ISO. • Landscape: Shoots the entire range of scenery in sharp focus with vivid colors. • Portrait: Shoots subjects at the front, and soften the skin tone. • Sports/Action: Shoots fast motion at faster shutter speed to reduce motion blur. • Macro: Shoots close-ups of small objects such as flowers and food. • Night Scene: Shoots night scenes clearly at slower shutter speed. • Sunset: Shoots sunsets and sunrises scene vividly with it’s natural red and yellow color. • Soft Focus: Makes objects stand out by softening the area around focus point. • Miniature: Makes miniature scene by simulating tilt-shift lens effect. Focus assist helps you to see the object that you want to manually focus clearly by zooming in the focus area. Beautify your photos with 30 live filters which you can see the filter effect in real-time. Capture series of photos automatically by setting the time interval and number of photos that you want to take. Peek through your latest shots quickly with preview dial, moreover you can swipe your photo to share, edit, or delete while previewing it. With smart dial button you can quickly preview your recent photos, adjust lens focus, change shoot modes, or adjust the other settings quickly and easily with just one hand. Camera Px comes with in-app photo editor so you can enhance your photo further. 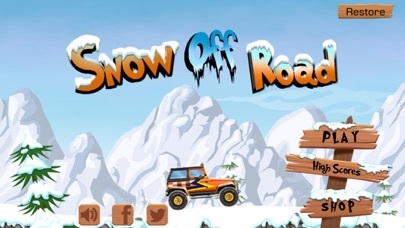 Snow Off Road — a big challenge off-road racing game. Just racing to the destination within the limited time. Please be careful, don`t crash your vehicles. – Drive by pressing on the right or left side of the screen. – Tilt the device to control the vehicle in mid-air. – Also support joystick control mode. – There are 60 levels to go, so don’t waste any more time and get started. 2. Different levels, 60 unique maps. 3. Some models of vehicles in shop. Ananda helps you meditate, focus and relax with progressive binaural tones and high quality peaceful sounds. Choose from one of Ananda’s numerous binaural programs to focus, relax, meditate, or even to get the most out of a nap. Each program comes with binaural beats designed to help you reach a specific mood or state of mind. Each session provides a subtly fresh, new ambiance. A unique combination of nature sounds, chants, mantras and peaceful bells is generated on top of binaural tones every time you start Ananda. Take a break at home, at the office, or in the subway. Even a few minutes of Ananda will get you refreshed and ready to deliver your best while staying calm and zen.